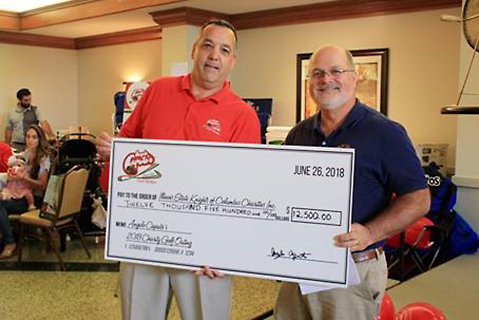 By all indications, our 60th Anniversary Charity Golf Outing, held June 26 at St. Andrews Golf and Country Club in West Chicago, was a success. Even mother nature cooperated by clearing out the torrential rains before we started. We even saw some sunshine as the day wore on. 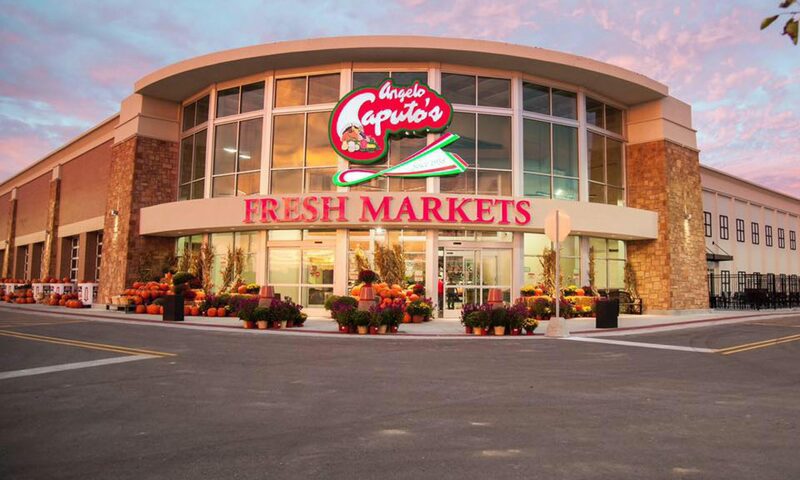 During the reception that followed, Angelo Caputo’s Fresh Markets CEO Robertino Presta presented two checks for $12,500 each. Accepting on behalf of the Knights of Columbus Pope John Council 5732 was Grand Knight Gregory J Martucci. 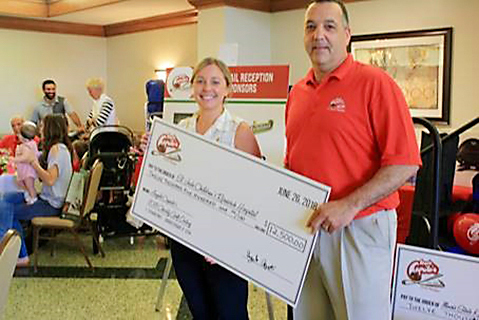 Accepting on behalf of St. Jude Children’s Research Hospital was Maria D’Alessio, Volunteer Development Representative-Midwest Region of ALSAC, the fundraising and awareness organization for St. Jude’s. This event was made possible by the generosity of our vendor community. We are grateful for the ongoing relationships that we enjoy with our vendor partners and look forward to our continued mutual success.